Register for IALA's Dinner with Sir Bruno, here. R. - First of all, the "motel kids" what are they? They are children who live with their parents in these motel rooms that were in the 50 hotels and have now become the residence of these families also live there six, seven, eight people, and there is also no kitchen, so even if the Mom wanted to eat, she would not have a chance. On 18 April 2005 I came to see my mother from Italy, San Bonifacio, Verona, and we went to an area called "Boys and Girls Club," where disadvantaged children usually go in the afternoon. There was a seven year old boy who was eating the chips and they said it was a "motel kid" and explained to me that very probably would not eat that night for dinner. And the first thing, as good Italian mother, my mother said to me: "But Bruno, because he did not make a plate of pasta?". This week 10 years that we have started and we are now in 1200 plates of pasta a day every day for 10 years. And a few days ago we celebrated the meal number 1 million for these "motel kids". And it's a beautiful finish, not the level of a million, but that level of solidarity I have done something important on behalf of mother Caterina. D. - Well ... a large number, so much so that international publications have dealt with you, including CNN in the first place: what do you mean, what message would you give to your colleagues Italian chef? R. - I say that if all the chefs in the world join hands, starting from here, from Italy, we can feed all the children who are hungry. You can not send a child to bed because he has nothing to eat. All together we can make a huge change. As we know there is Milan Expo soon. I believe that saving the Earth and give nutrition to those who need it is the least we can do. R. - Yes, this is a wonderful thing and that's why I came to Rome and then immediately giving birth to Sarzana, Liguria, because the prize is called "Out of Home: Sconfinando 2015" Prize laureate Eugenio Montale, cultural level is a wonderful thing, wonderful. So I'm very happy. D. - The Italian food in the US: you think that Italian food can still give new ideas in the world? R. - The Italian cuisine in America, is still considered the "number one". Italian food never ceases to grow, and then continues to move forward. But I, at the level of solidarity, I say that Italian food can feed the whole world. If we make a pasta dish all those who hunger We Feed the world. To this I say: we send the paste on top worldwide, to feed all those who need it. D. - In this week there is much talk of immigration. You're an immigrant too, because years ago you went to Verona for the United States, the new world: how was it for you to embrace a new country, especially as it was the first impression of a country that was not the yours? R. - My parents were the first to emigrate after World War II went to France. I followed in their footsteps but I went a little 'further away, I went to California. America loves Italy: hugged me and opened my arms; It gave me so much and I - as it should do when it is given, must also give back - I'm giving it to America, to American children a plate of pasta. 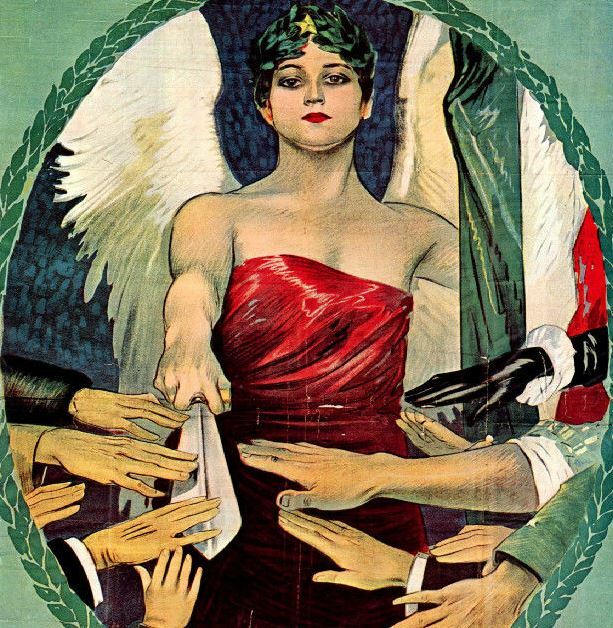 It is not a thing to miracles, it's so easy ... As for emigration, I say that we Italians are accepted throughout the world: we seek to accept those who come to Italy as an immigrant. 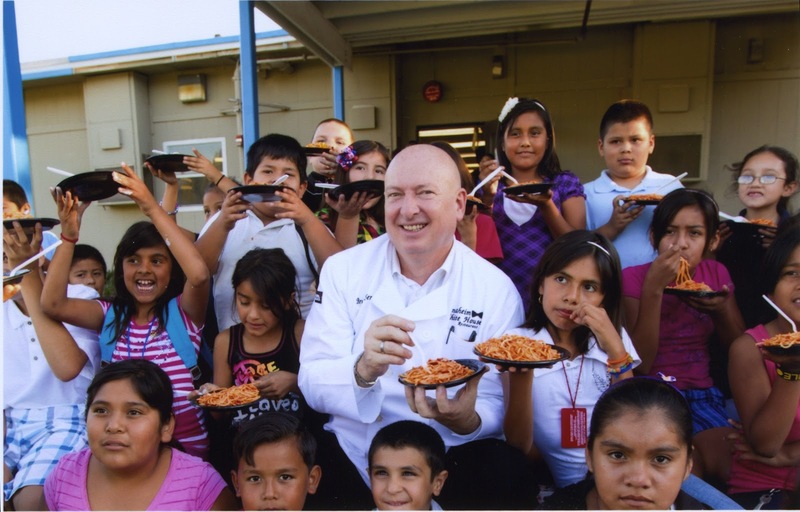 Bruno Serato, the owner of Anaheim White House restaurant, has served 1 million meals to hungry children over 10 years. The restaurateur's mission of serving pasta dinners to Orange County's neediest families paid homage to his humble beginnings in his homeland of Italy and led to him founding the service organization Caterina's Club, named in honor of his late mother. Serato now serves more than 1,200 children daily in seven cities: Anaheim, Stanton, Buena Park, Garden Grove, Fountain Valley, Orange and Santa Ana. After learning about the number of families living in motels in Anaheim, he expanded Caterina's Club to help relocate families to homes. Serato was named one of CNN's 10 Heroes of the Year. He was also knighted by the Italian government and awarded the Boys & Girls Clubs of America President's Award. Serato recently talked about his philanthropy. Question: You serve 1,200 underprivileged children warm dinners every night. How did that come about? Serato: It all started with Mama. Ten years ago, on April 18, Mama Caterina was visiting from Italy.... I took Mama down to the Boys and Girls Club off of Broadway [in Anaheim] to play with the kids as well as meet my good friend and then-Executive Director Mike Baker. Mama was filled with joy to be around the bambini until she noticed a child having a bag of Lay's potato chips right around dinnertime. Mama Caterina's Italian instinct kicked in, and she wanted to know why the child was having such a poor snack so close to dinnertime. It was in this moment that Bruno and Mama Caterina would learn what a motel child was. Mike Baker informed [us] both that these types of foods were typical dinners for many of the children who live in motels, because their parents were often working late and do not have a kitchen in the motel rooms to cook anything. Mama instantly turned to Bruno and demanded that Bruno have the restaurant cook up dinner for all of the kids right away. So Bruno, always obedient to Mama, who knows best and inherited her generous heart, called in to Bruno's fine-dining restaurant 60 to-go pasta dishes. The management thought Bruno was crazy, but what was actually crazy is that since that night, Bruno never stopped. The first few years it was 60 meals a night, every night. The membership at the club grew, and word got out that Bruno was cooking up meals for these children to make sure they had a warm-cooked meal before going to sleep, and soon there were a lot more than 60 children to feed. Bruno began serving at other Boys and Girls Clubs, and then other after-school programs like the YMCA and sports programs at high schools where the most at-risk children in Orange County attend. Bruno's mentality, when asked why every day, is simply a question: "Do you have dinner every day? Or only three times a week?" Bruno insists that every new location Caterina's Club serves adopts the dinner program nightly, and that the staff requires the children to sit down together and dine as a family would. Bruno's hope is to instill confidence, support and camaraderie amongst the children, as during these crucial times in their childhood lives. Q: Caterina's Club was inspired by your late mother. What lessons did she teach you that you carry on in your life and in the charity's mission? Serato: My mother taught me to simply care for others, to take on others' issues as my own and to find a way when there seems to be no answer. Mama always found a way to feed our family of seven children, even in our hardest of times, she made the environment light and enjoyable, and she whipped together full meals that always satisfied us. Our home was always open for others, and she welcomed anyone to the table with a happy heart. Q: The recession forced you to refinance Anaheim White House and your home in Huntington Beach, and at one point you considered shuttering Caterina's Club. What made you want to continue running the charity? Serato: An unknown wise man once said that necessity breeds the greatest invention. I was not feeding these children for fun, for some extra addition to their lives. I was feeding them because it was absolutely necessary. The day I was going to call Mike Baker to tell him we would not be serving the dinner next week, he called me first. What he had to say was, "Bruno, we have tripled in kids for the summer, and the number of motel children are higher than ever. We have to increase the pasta." In that moment, I had no choice but to become creative and to find a way, the way my mom always did. So I thought of some other, new ways I might be able to find funding, and for a while it worked. Then my friends, my regulars, local companies and our community stepped in. I now have a team of supporters in the fight for remedying childhood hunger here in Orange County. Q: What's next for Caterina's Club? Serato: We will continue to feed over 1,200 children a night with hopes of expanding to more locations as long as there is a need. We have now fed over 1 million meals, and we are not stopping here. In addition to maintaining and expanding our food outreach to Orange County, we are aggressively encouraging others, in other cities, other states and other countries, to start their own "Caterina's Club." To name their project after their mama and to be a philanthropic leader in their community. I cannot fix hunger in America, but if there were thousands of other chef Brunos, then we certainly could. We have already stewarded programs in Chicago, Brownsville, Texas, Brooklyn and in northern Italy. This is my focus for the food program. I also started a cooking class for the children at Skyview Elementary and Middle School [in Orange]. This school is home to our most at-risk youth in the county. Of the 60 students, the majority are living in motels or transitional housing. As you may know, we have rolled out the Welcome Home program. We wanted to go beyond serving dinner and provide these children with the opportunity to live somewhere they were proud to invite their friends over to. We have moved out 82 families from the dark environment of a motel and into the safety and longevity of an apartment or condo. We hope to bring this number to 100 by the end of this year. Our staff members and volunteers are working vigorously on researching the source of the plight of motel living. They are also working on collaborating with the right organizations to create a lasting remedy and prevention to this problem. Register for IALA's Event Dinner with Sir Bruno, here. To see the original article on Daily Pilot, Click here. TALKING WITH A HERO: SIR BRUNO SERATO. Heroes do not exist only in movies. I had the honor to interview one such hero on April 17, 2015: Sir Bruno Serato, the owner and chef of the famous Anaheim White House restaurant. He was one of the 10 CNN Heroes of the Year 2011, knighted by the then Italian President Giorgio Napolitano. He also received the prestigious Montale Award in April 2015. I sat with Sir Bruno Serato in his gorgeous restaurant and asked him a few questions, as I really wanted to get to know better the upcoming IALA Guest Speaker at the next IALA event on May 20, 2015. Speaking to a group of fellow Italian American lawyers and judges, University of California President Janet Napolitano this week recounted her own family’s modest immigrant roots and urged Californians to help increase funding higher education so that subsequent and future waves of families can enter the middle class. Napolitano's speech Wednesday evening was part of her effort to rally public support for enough additional state funds for the 10-campus UC system so that a tuition hike of as much as 5% next year can be avoided. She and Gov. Jerry Brown have disagreed over the matter, with Brown insisting that UC must continue to freeze tuition for a fourth consecutive year with a tax funding increase that falls short of what Napolitano has sought. Napolitano recounted to the Italian American Lawyers Assn. in Los Angeles how her paternal grandfather arrived from Italy at Ellis Island in 1909 and went to work in a grocery store in the Chicago area and later as a laborer in the Oakland shipyards. As part of IALA's ongoing mission to foster a spirit of friendship through social and professional association among lawyers and judges, to continue and improve the legal education of its members, and to promote Italian culture and the general welfare of its members and the improvement of the practice of the law, we would like to make our members aware of the below lecture program being sponsored by the National Italian American Bar Association. As co-chairs, we invite you to join us in the most beautiful country and city of the world to learn and to help your clients with issues in Italy. 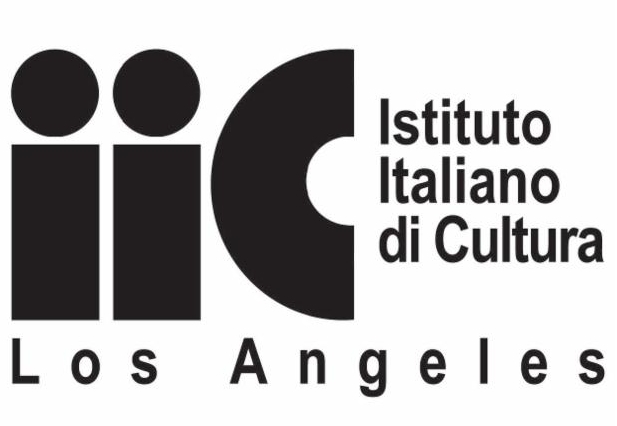 This lecture program is the first of its kind to be offered; and it should encourage attorneys who have not visited Italy to become true Italian Americans. The free time between lectures each day will permit participants to enjoy excursions to historic sites of Rome and enjoy a good lunch at restaurants of your own choice. Read or download the brochure and register now. This Italian experience awaits all NIABA members with "bracci aperti" in the eternal city.